Three former game studio executives with 40+ years of experience could easily be basking in the console glory days of the past. Instead of opting for white sandy beaches and umbrella drinks, these former EA (Electronic Arts) colleagues have co-founded a company that adds rewards to mobile games as you play. Three former triple A game studio executives with 40+ years of experience could easily be basking in the console glory days of the past. Instead of opting for white sandy beaches and umbrella drinks, these former EA (Electronic Arts) colleagues have co-founded Wyley Interactive. CEO Pauline Moller, COO Moira Dang, and Larry LaPierre, managing director of product have given up cushy offices, big budgets, and a legion of minions to do their bidding. They've spent almost a year being rather stealthy in hopes their Vancouver startup has a significant impact in the brave new world of mobile gaming. With over 650 million people playing games on their smartphones, Wyley Interactive sees an opportunity to be disruptive around how brands and businesses connect to those users with their Play4Perks. People who play mobile games only have small slices of time in the typical day to play, and removing distractions is a serious bonus. So no pesky little ads is a nice feature. But then they add the opportunity to play for perks. Imagine playing a great game on your smartphone while earning rewards from your favourite brands or stores. After nine months building the technology platform to make this experience possible, and just over a month of Vancouver-focused beta testing they're opening up Play4Perks to the rest of Canada and the U.S. The engagement and feedback from beta testing has exceeded the team's expectations with some positive positive trends including female players showing a real affinity to perks from the likes of yoga gear company Lululemon and clothing chain Aritzia. It's also noteworthy that Sprott Shaw College is one of the first clients to adopt the Wyley Play4Perks network. Students, current and future, can play games for perks ranging from Starbucks gift cards to career counselling sessions, from $100 iTunes Gift Cards to scholarships to any program at the college. Wyley is looking to score the hat trick with a platform that's a winner for player, brands and game publishers. "We wanted to try a different approach towards promoting our games and feel that Wyley's Play4Perks unique take on branded rewards via gaming challenges really fits our company's goals in providing great value for players when they choose to play our games," says Sara Yang, CEO/co-founder of MNE Creations, the developer of the Panarchy Fling game. This is a really exciting time to be disruptive in the fast-growing world of mobile phone entertainment and advertising consumption, and it's great seeing Vancouver's Wyley Interactive at the forefront. 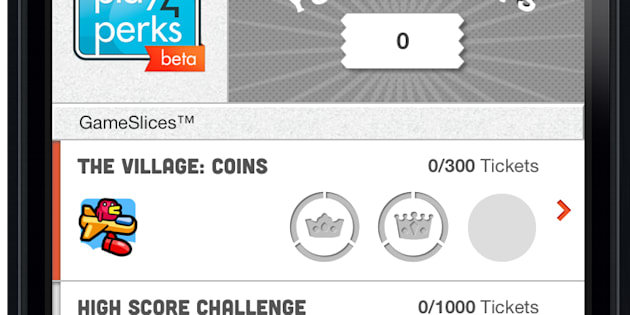 Play4Perks is now open to iPhone users across the U.S. and Canada.